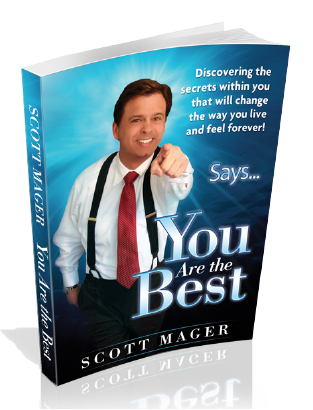 This inspiring book by empowerment au­thor Scott Mager is the next in his series of remarkably powerful books that immediately affect the way you think and live in such a positive way. 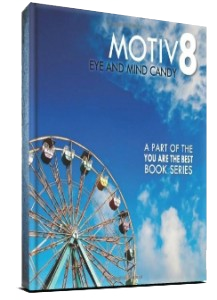 Scott’s stories and personal anec­dotes – all delivered in his uniquely intimate yet powerfully moving way– deliver under­standing on how and why you think and act the way you do. As so many readers report, his tangible solutions can be employed to right now enhance the overall quality of your life. He talks TO you and not at you, and shares his own life experiences in a very moving way that shows his true understanding of both hardship and success. He challenges you to discover the secrets within that will change the way you live and feel forever! I am so glad I went to the seminar and read the YOU ARE THE BEST book because it has changed my life. JOHNNYCAPTAIN, HIGH SCHOOL DEBATE TEAM. Check out the next best seller from Scott Mager, the first of its kind in displaying empowering quotes opposite amazing artistry that pictorially matches the quotes content. For example, you see an amazing picture of a artistically crafted door opposite quotes like “If opportunity doesn’t knock, build a door” or “Time stays long enough for those who use it” opposite a mass collection of some of the finest new and old watches in the world. You can actually feel Scott’s injection of empowerment that comes from a wonderful selection of visual and written beauty – all sure to enhance your personal and professional success.